This 2-day intermediate level course is a comprehensive presentation focusing on rehabilitation for the neurological patient. Lecture and lab will be combined to cover many topics using a dynamic systems approach. The basic concepts of PNF, NDT, motor learning, forced use, sensory and manual cueing, and the promotion of neuroplasticity will be reviewed. The causes of and treatment for altered muscular tone will be explored. The clinician will learn how the sensory systems affect motor performance and will be given exercise protocols to enhance motor outcomes using each system. Detailed information will be provided on how to utilize one system to help heal another. The course will cover therapeutic approaches for the neurological patient for: strengthening, conditioning, balance, coordination, functional mobility, edema management, incontinence and constipation. Complimentary approaches including yoga, Tai Chi, Qi Gong, acupuncture, meditation, and visualization will be thoroughly discussed. The disease processes, current research, and treatment protocols for the special needs of patients with CVA, Parkinsons, Multiple Sclerosis, and Post Polio Syndrome will be covered. The clinician will leave this course with many exercise protocols specific for these diagnoses and will also be able to take the knowledge learned and immediately apply it to a full spectrum of neurological patients. Describe the concepts and theories that lead to dynamic systems approach to neurological rehabilitation. Describe the process of neuroplasticity and demonstrate techniques to enhance the ability to maximize the concepts of neuroplasticity in progressive rehab programs. Identify how each system is intricately related to each other and develop treatment programs to utilize one system to benefit the other. 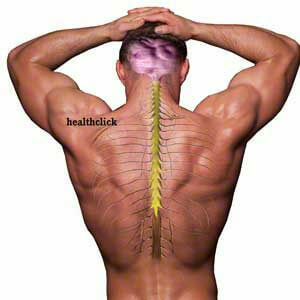 Develop exercise components to enhance motor control, movement patterns and motor learning in the neurological patient. Utilize specific techniques to develop treatment programs for hypertonicity, myoplastic hyperstiffness, rigidity, strengthening and mobilization for the neurological patient. Incorporate the appropriate cardio-pulmonary conditioning training for specific neurological disorders. Properly evaluate the difference between vascular disorders and edema and perform appropriate treatment protocols. Develop exercise protocols that assist with enhancing depth perception, focus, environmental awareness, visual-motor control and balance in the neurological patient. Utilize a modified version of the Nagi Model to assess patients, set up specialized treatment plans and goals. Use current standardized tests and measures to evaluate patients, set up treatment plans, write goals and improve documentation to show systematic progresssion with measurable outcomes with neurological patients. Develop exercise programs to assist with incontinence and constipation. Incorporate mind-body exercises such as yoga, Qi Gong, Tai Chi acupressure and mediation into treatment programs for increased functional outcomes.